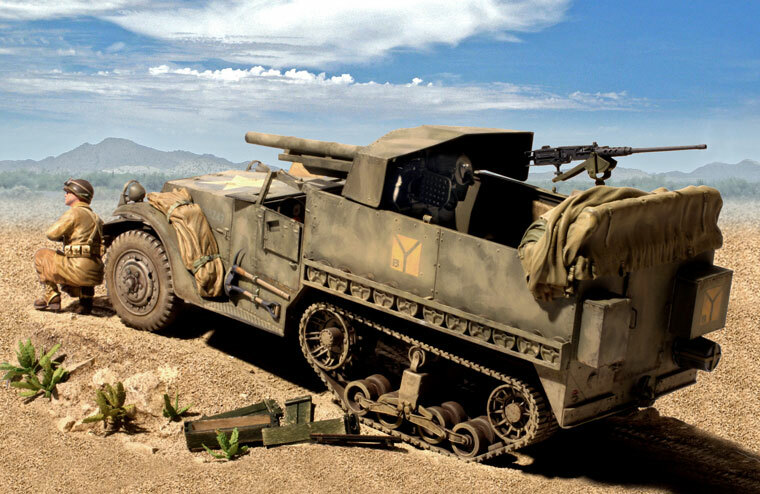 Dragon's latest US half-track is the M3 75mm GMC which combined the French 75mm M1897 gun with the M3 half-track as a medium tank destroyer. 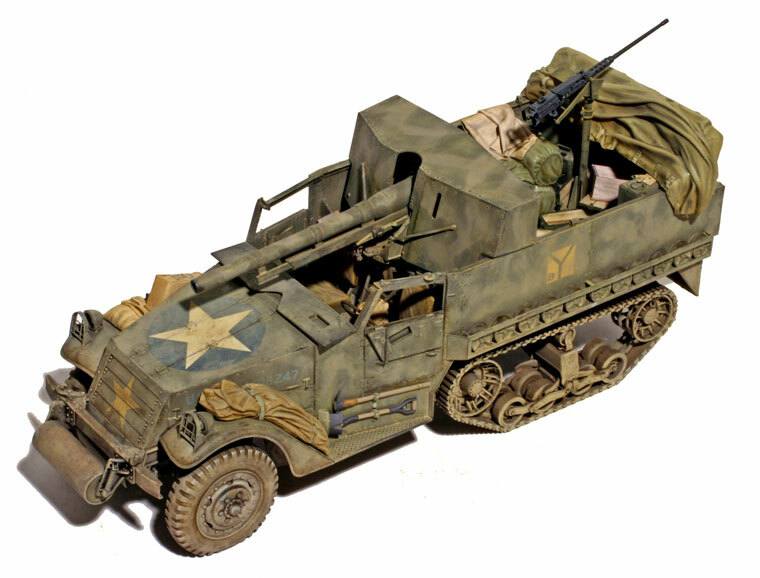 The kit closely resembles earlier Dragon half-track releases with some tweaks such as changing many of the rivet heads to screw heads and diminishing the bulge on the front tire. I was working off a test shot and I am not sure of the final details in the upcoming release. The test shot had the jerrican rack molded in place as in previous half-track kits. I removed it and I recommended that DML change this but I don't know if they will have time to do so. My test shot had no decals but I know they are planning two US tank destroyers and two British/Italian theater markings. The new bits are extremely nice, with a surprisingly thin gun shield and a nicely intricate 75mm gun. I didn't have instructions, but I found the kit went together fairly well without them. 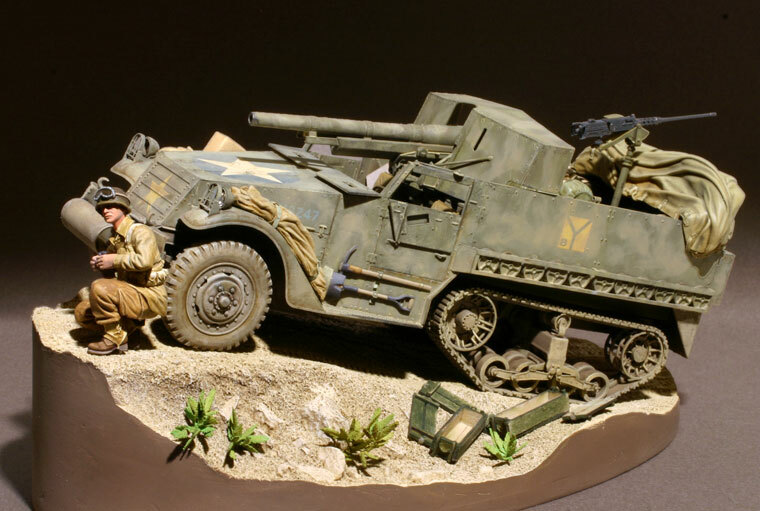 I added a fair amount of stowage to the model including the tarp from a Blast resin half-track set and various tarps and ammo boxes. 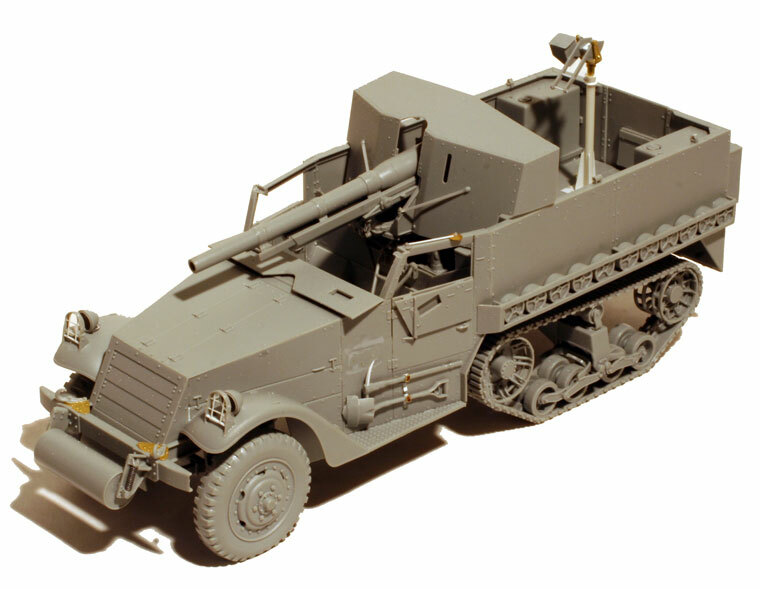 I also added the .50 cal machine gun and pintle and mine racks which seem to have been common on the vehicles of the 701st Tank Destroyer Battalion in Tunisia which I decided to depict. Overall, this is a very nice kit with a lot of markings potential. I hope that Dragon will continue to do other gun-armed half-tracks.stowage on my model is largely Blast resin bits, but the camouflage net and tarp on the fender are scratch.